My horse club was a really amazing online horse game with incredible graphics. But it is no longer available! If I hear any updates I will let you know. 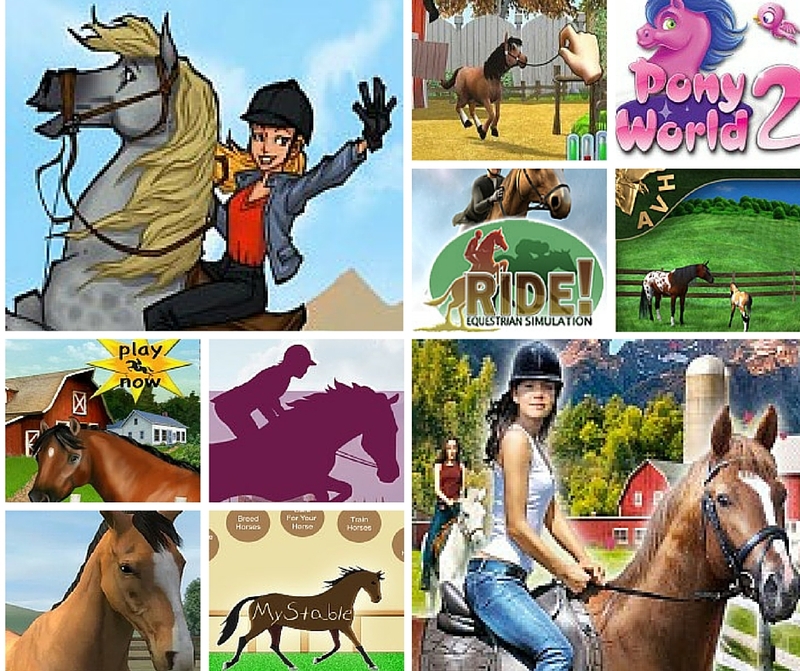 In the meantime, you can find a whole list of fun horse games here. Do they have shetland ponies on this game & can you breed horses??????????????? I downloaded everything and when I went to run it, it wouldn't let me. I am not loading up my cpu with viruses to play a stupid game. Help me!! How do you do the missions??? Hi. I got the game a while a go, but I still have NO idea how to do the missions! Can you help?? I've been trying to play for weeks but was using safari now im using explorer and it works! I dont understand why My Horse Club isnt working! grrrrrr!!!!! How do you get to level5? it is really fun, but once u get2 level 5 and u try 2 cross the river, it won't let u!!!!! sum1 help!!! pleeze!! I don't now how to get the game could someone help me please. hi how do you get promotional code to play Horse Club? your horse needs lots of things like,there hoofs changed every two mouths,and lots of food and water, love and care. I do like it and I think its real cool riding with other players but I have no clue what to do because I an new to it! i have a account but it will not let me go to the stable or anywhere i downloaded Java but it still does not work. I love this game the horse club!!!! My Horse Club is amazing I think it wold be so cool if they had a pool for horses and your person. It won't let me log in I signed up but when I go to activate it comes up 404 Page Not Found The page you requested was not found. Is that normal? I just registered but I can't figure out how to get a horse! Do You Need Help With My Horse Club? I can't put my 1st horse in a stall? omg!!!! why wont people tell us!! On My Horse Club on the internet when you go to register it ask for a security code in a picture but i can't see a code in the picture what do you do? Frustrated? Annoyed? Having Severe Problems With 'My Horse Club'? when i first caught my horse, it was an Appaloosa!! she is in great condition! and i just love her! her name is: chocolate! she is brown and is tamed! when i try to register for it i can't read the security code. can someone tell me what it is? Share Your Review Of My Horse Club! Tell us what you think of My Horse Club. Just use the comment link below to share your review. Thanks! I have tried and tried to get a horse in a stable but do u create one, pick one, catch one? which is it? hey I have a question: Are this game NOTHING cost????? Please write back! I'm sad My Horse Club won't work! Share Your Tips For Playing My Horse Club! Is it possible to catch horses on My Horse Club?If so,how can I catch 1? What is the security code for my horse club ? I DON'T GET THE SECURITY CODE!!!!! What is in the image??? All I see are a bunch of swirls!!! My name is becky 7 and I love My Horse Club! You guys are awesome (whoever invented this). The horse are amazing too! Everything goes perfectly well until I get to the stable and have to put in the horse it does NOT WORK! PLEASE HELP! The game is the best! I love My Horse Club soooooooo much! How much stuff do you have to download for this game? And how much space does it take up on your hard drive? Thanks! MyHorseClub is absolutely amazing great graghics and amazing to play... and its all free!!! Is Java a safe download (it won't infect my computer with anything?) Thanks! I want to try MyHorseClub, but is this game free online? I have tried it in the past and it has never worked. I play howrse.com it is MUCH better! This game messed up my computer, because I couldn't exit out of it. It is really confusing and the screen is really small. I didn't like it! Okay, so you know how at the start you have to put your horse in the stall, how do you do that exactly??????????? Please help! I always try to register but it isn't working! Help! This game was very cunfusing. I had no idea what I was suppose to do. If it was more direct I think I would like it better. it looks amazingly fun, but whenevr i go to the stable it just freezes? help? please? Why does it have to be downloaded, it should just be how it is, with out any downloading!!!! Okay so it only loads half way or less then it says the net work is not responding try later i do but it doesnt work!!!!!!!!!!!!!!! I LOVE IT I THINK EVERYONE COULD JOIN. i believe that this is a good club for girls that love horses! I am crazy about horses and i love riding and drawing hirses as well. ive been trying to get it too work for ages but its so slow it wont even load up my stable! I can't figutre out the code to sign up! I've never played it before but i'am going to love it. How do u know if u have Java and the latest version? It was really cool! you have to play this game! the bar at the top left corner of the game screen is red and i can't get it to turn green. How do i do it??????? Help!! I have evan put it as my background but I just don't get the security code its the pink one two so could someone help me pease?! i love horses and a club! i would like to play the free game now because i really love horse . i have been trying to play that for ages. MY CLUB WITH BE THAT ALL HORSE WITH TO BE VERY NICE TO ME AND REALLY CUTE HORSE THAT I LOVE TO EAT CARROT AND APPLE TOO. I love the game but I have a question. How do I buy other horses? you need to keep your horse in good shape and you need to feed your horse everyday. i installed java but it was loading just fine until it said error on page do y'all have any solution? I LOVE this game but i am at level 5 and i can now go through a gate that lets me go through water but my horse wont go through the water help plz??? the games pretty good, but how do i level up?? I couldn't even start because of that code thing. Please is you know what it is post here. I've tried so many virtual horse games, but none can compare to this one. It is the absolute best game i've EVER plaid! I think that you have to be in Australia to buy the my horse club cards. I think that this club is a good idea to let all people have fun and take care of the horses too. i still haven't got 2 c my horse!!!!!! I really don't like it. When you click the stable page it doesn't even work!!!! AHHHH!!! AWESOME GAME!!!!!! I love it. I love your game.This is the best horse game I ever played.One more thing when are the cards going to come out? i have to install java but mum wont let me! i want to play it! i like it. But codes are bad.I cant get them!! This game is really fun!!! i cant wait for the cards to come into the UK!!! How do u choose another breed?? Wow this game is amazing! Even though you have to be at certain levels to do some things, it's the best game I've ever played! Thank you so much! I just signed up. I love it so far! And my username is kenzierae7! ADD ME!! i love it.it has amazing graphics but its kinda slow. i have kind of figured out how to ride your horse and groom it. THIS GAME ROCKS! I registered, I try to log in and it takes forever and still doesn't log in! Ugh! Is it just me ? What's going on ? I have the newest Java! My horse club is good, but how do you change your horses breed and how do you buy more horses? I love it but i cant get the hang of getting my horses energy up!!! the game i good but it takes age to load i have java and everything so whe?????????? I DO NOT LIKE THIS GAME! IT IS AS SLOW AS CHRISTMAS! Its no good. You have to use real life money for stuff and getting from palce to place takes ages. Good graphics but over O'd give 2/10. But you need to buy stuff and I don't think some parents allow that! That's why I don't play it anymore. ummm....... well on myhorseclub.com everytime i log on it says done (the page) errors so i have the right java whats wrong???? I didn´t like it. It is slow and hard to use. Also i put english as my language (which i´m not good) and it gives me some text in france. It has awesome graphics but it doesn't work on any of my computers. ANd it crashed my other computer. But it is pretty cool. There isn't a security code so I couldn't register to try the game. the stupid java thing would never download! it stink! i can't get the security code plz can the people that have got into it plz help?? I cant sign up!!! Its says there a fatal error! I couln't wait to try it out!But i'm stuck getting my horse!I don't know how to choose a stall!HELP! My Online Horse Club Is Stupid To Me! I Dont Know The Code Thingy? Help Me Out! i can't see my horse or ride it! I've downloaded the java thingie but it wont play. y do u have to pay for everything? i hate it! It has amazing graphics so far, but java won't load on my computer. Any ideas? It looks like it would be a great game although the stupid java on my computer won't update. I would totally play it if it didn't have the Java download! Please find games that aren't SIM (Ihate those) and that don't require a Java download!!! I think it is great. I live in WI and winter stinks to try to get out by my horses so this game keeps me in touch with the horse world. I CAN NOT WALK MY HORSE I CAN NOT SEE MY HORSE,I JUST CAN,T DO ANYTHING!!!!!!!!!!!!!!!!!!!! I CAN NOT SEE MY HORSE,GO FOR RIDES,FEED MY HORSE,OH ITS BBBBBBBBBAAAAAAAAAADDDDDDDDDDDD!!!!!!!!!!!!!!!!!!! Please somebody help me I don't know what java 2 download! It looks awsome. But I just need help! I made and account and all the places work, but I don't have a horse and I don't know where to get one! can someone hlp so I can play? I like the game, but I can't read the instructions because I can't read that writing. It means that you have some fake information. Check all your information. I really loved this horse club.To many horse lovers please come to this horse club.It's the best horse club ever. My horse club is really cool.I love it! HELP I can't see the code to sign up! U have to download this JAVA!!!!!! I hate this!!!! I thought this was fun. 1.Doesn't work. 2.Doesn't load. 3.Those are ponies. i think its cool. i also think that its fun i always wanted to ride a horse! i cant read french and i cant put my horse in the stable. This looked like a really cool game, but then when I logged on, it said it wasn't available on the Mac (which is what I have). HELP!!!!!!!!!! looks good but taking forever to load have been waiting over an hour!!!!!! it doesn't load very quickly but it seems cool and i could play if it would load. I tried joining but I couldn't it is really hard to join and not worth it! I logged in and everything but when I go to get the horse into the stable it won't let me, all because I don't have stupid java! Its reall slow loading and its not my laptop either any 1 got any ideas How i could speed it up? I got it working... But, I don't know where the tack shop or stuff like that is. i really want to know. And the game takes FOREVER to load. It is great! But where do I get the cards in northern Ky? Plus I don't have a horse yet....But I might like it once I get a horse. it looks like an awesome game but the update on the page stops people from playing it!!! It won't let me download java! Help me!!!!! It's not letting me play even though i signed up. i really want to play it!! it takes long to load and its in french which i cant understand and it never works it takes too long to load. I LOVE THIS GAME ITS SO SO SO SO AWeSOME!!!!!!!!!!!!!!! i don't know how to get graphic space or whatever its called for my graphic card ps I'm a kid help! I think that the game "my horse club" is very fun and extremely cool, however the game does need to be a bit quicker at loading to keep me interested! It won't load and tells me my computer doesn't have memory. Horrible!!!! Ummmmm it had a LOT of Glitches I would not play it again. how do i make a stable for my horse? i like the game it is fun and you can make new friends and it is cool you can ride and i love horses!!!! It looks very interesting but a bit hard to get into. i would luv to play this game everyday. It is very slow and it isn't working for me but the graphics are amazing. Watch this video to learn how to show jump in this cool online game! Find more fun horse games for horsecrazygirls!